We Provide Compensation For Your Social Security disability & Workers’ Compensation Claims! 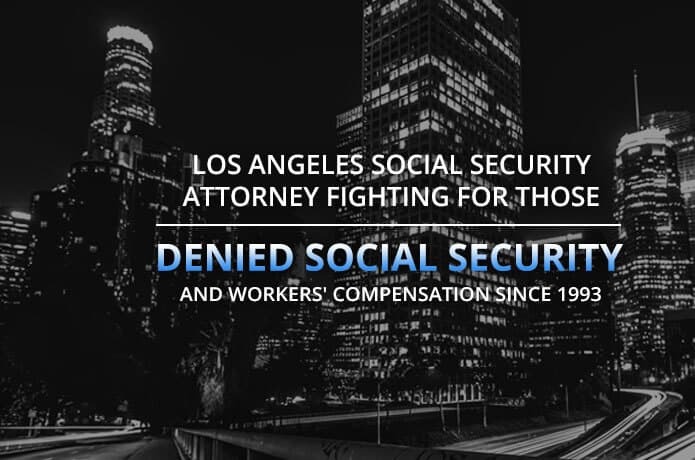 To help our clients obtain the Social Security disability benefits they need and deserve, we make sure that we have the best social security lawyer in Los Angeles working for you. Our legal team is headed up by Los Angeles attorney Tony Adderley, who has been practicing as a social security disability attorney in California. Social security disability attorney Tony Adderley has more than two decades of experience representing clients in personal injury and workers’ compensation cases as well as those seeking Social Security disability benefits. He has also been providing advocacy services to clients in Los Angeles, California. When you’re represented by Attorney Tony Adderley and his team, you’re treated with complete respect, offered every professional courtesy, and you will never become just another case number. If you have a disability claim or a Social Security concern that you would like to discuss with our team, call us at (310) 693-0704 in Los Angeles to speak with our social security lawyer in California. Our social security lawyer in Los Angeles offers Free Case Review. Our offices are also located in Riverside and San Bernardino CA for your convenience. Just give us a call to speak with our social security disability attorney in California. Tony Adderley has been working as a professional advocate for individuals entitled to Social Security Disability (SSD) and worker’s compensation benefits for more than 20 years. As a Los Angeles social security attorney he has handled a variety of different cases for a variety of different clients all with their own unique sets of injuries and circumstances. In addition to helping out with initial application filing, Tony Adderley and his trusted team of legal aides can also provide legal representation for individuals who might be entitled to coverage and benefits but who have already been denied by either the Social Security Administration (SSA) or the worker’s compensation system) – or any other program such as the supplemental security income (SSI) program.